Rt. Hon. Tom Brake was actively involved in human rights issues as a student. He was elected as a councillor in the London Borough of Hackney in 1988, leaving the council in 1990. In 1994 he was elected as a councillor in the London Borough of Sutton and sat on the council until 1998. He was elected the Liberal Democrat MP for Carshalton and Wallington in 1997. 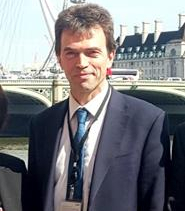 Tom Brake became Deputy Leader of the House of Commons in October 2012 and was appointed as an Assistant Government Whip in November 2014.